Just Ant is a software development company with over 100+ software specialists in South Africa providing high-performance solutions of varying complexity, in all popular technologies and frameworks. We support you with the Service you need. Our Services are available “a la carte” to complement your team with Design, Development, QA Testing, Documentation, DevOps or Support. We provide you with the technical resources required to accelerate and ensure the success of your project. While you maintain the management and oversight of the Software Development Life Cycle, we insure the performance of the staff. We develop cutting edge software for touchscreen mobile devices such as smartphones and tablets. Our developers use a host of development tools to create scalable and robust products. We recommend using responsive web design and development. Businesses require fast, easy access to dynamic enterprise data, both through corporate intranets and the public internet. This is no small feat, considering the range of data sources and data types found in most enterprises, but it’s a crucial capability, because interactive data access drives web applications – that deliver the information you need to maximize the potential of your business. Just Ant has a very active perspective on how application architectures should be created by developing component-based application development models for the web. It is best to apply an integrated approach to this task, employing business solutions that meet the broadest spectrum of needs – from supply-chain to consumer. We offer software re-engineering, migration and deployment, using optimal technologies and system planning on a wide variety of platforms. Just Ant recognizes the inherent risks involved when business processes migrate toward e-business and we incorporate risk management in all of our solutions. We are always striving for extreme efficiency and managed to achieve it due to constant development, adaptation to new technologies and best practices. 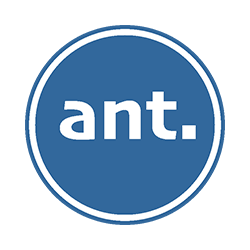 Just Ant is experienced in advanced analytical applications, machine learning and stream processing with the takeoff of the internet of things. Like systems of record – or databases – was considered the authoritative source for an organization, systems of intelligence will define the future – powered by big data. To retain legacy business logic from client/server applications inherent in companies, organizations will have to web-enable existing applications. With the advent of dynamic e-business, valuable legacy applications that support essential business processes in enterprises, can join this new area of distributed computing. The goal is to streamline business processes by allowing software applications to be delivered over the internet and run across all kinds of computers, from large servers to handheld devices. In order to enable legacy applications to participate in dynamic e-business, we need to apply web service technologies, which will allow the services to define a set of technologies that exposes business functionality over the web – as a set of automated interfaces. These automated interfaces allow businesses to discover and bind to interfaces at run-time, minimizing the amount of static preparation that is needed by other integration technologies. In short – a web service is a method of making various applications communicate with each other automatically over the internet. Once the applications have been technically adapted, the business processes are likely to evolve to a more automated business process with reduced human intervention. With operating system vendors agreeing on how to use more-advanced web standards, various services that use competing software applications will ultimately allow companies to automate their business processes and exchange information with each other in a standard way. This will eliminate the need for loads of development on the part of corporate programmers, to get their systems to link to those from other companies. Just Ant Software convert or port client/server applications into web-based online applications, resulting in a huge saving for companies. Global business understanding is one area of our expertise. We interact with professionals all over the world to ensure maximum return on investment. Just Ant Software follows a business analysis methodology when approached by clients for development of web-based applications and any other services. Projects are handled by Project Managers and development is divided into phases and events for adequate project management when developing new applications. Project Managers consult with the client and make an initial assessment of specifications and requirements of any project. Just Ant evaluates web development proposals using specific criteria for budget approval. For projects to be approved and given highest priority, web development projects must meet at least one of the following criteria. Stringent software testing means that your software meets its defined or standardized quality specifications. Our experienced team of testers will ensure that the desired quality measures are met within the software development life cycle (SDLC). We generally follow testing procedures that coincide with the current development phase of a project, but our QA testing teams are experienced in both waterfall and agile development/testing environments. Selenium, Coded UI (UIMap and CUITe framework) and Microsoft Test Manager – as well as popular IDE’s such as Visual Studio and Eclipse – are some of the testing tools we use. Even though automation testing can be implemented, basic principles of QA will still be maintained. Just Ant employs skilled personnel to assist companies with their implementation requirements for their customers. Being an effective implementation consultant requires deep product knowledge coupled with real world experience. Just Ant's consultants have many years of experience in implementing systems and they assist your clients with transfer of knowledge to the customer. Our implementation consultants work directly with the customer and are dedicated to the project. The amount of time they spend with the customer is determined by the customer’s needs and tends to be more initially and less over time as the customer acquires knowledge through a mentoring process. Through this process, the customer takes ownership of the system and can be self sufficient.